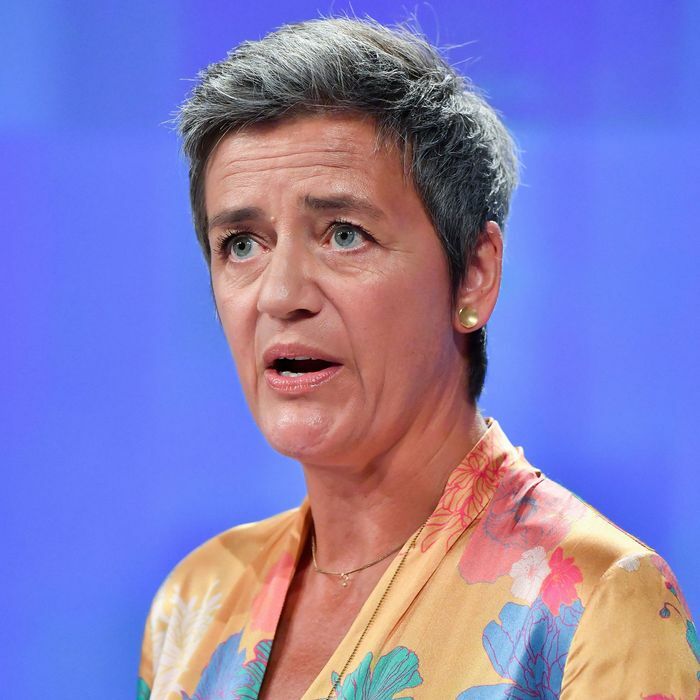 The European Union’s antitrust division today announced that it was fining Google $5.1 billion for violating regulations in order to box out competitors and favor its own product on its Android operating system. In order to be allowed to install Android on their phones, device manufacturers had to agree to certain terms, including preinstalling the Google Search app and Chrome as a condition for licensing the Google Play app store. In addition, Google paid certain manufacturers to exclusively preinstall Google Search on their phones, and prevented manufacturers selling devices with Google apps preinstalled from also selling devices with alternate (“forked”) versions of Android. Android, though administered by Google, is an open-source operating system, and is available to device manufacturers for free — with certain strings attached. Google has said it will appeal the hefty fine, which is much larger than the $2.8 billion fine it was handed last year for unfairly favoring its own services, such as Gmail, in search results. The appeal is likely to drag on for years. In a blog post condemning the E.U.’s decision, Google CEO Sundar Pichai argued that Android offers users and manufacturers more flexibility, and said that some of its terms were meant to avoid fragmentation. “Today, because of Android, a typical phone comes preloaded with as many as 40 apps from multiple developers, not just the company you bought the phone from. If you prefer other apps — or browsers, or search engines — to the preloaded ones, you can easily disable or delete them, and choose other apps instead,” he wrote. If antitrust charges leveled for tying a web browser to an operating system sound familiar (good segue, nailed it) that’s because Microsoft was sued by the U.S. government for the same reason in the ’90s. Seeking to cement its dominance in the operating-system and web-browser markets and ice out Netscape Navigator, Microsoft required computer manufacturers to preinstall Internet Explorer on Windows computers. The judge in the case ordered that Microsoft be broken up, though that was later overturned. Still, the case caused Microsoft to be less aggressive in the market, allowing other tech companies to step in and compete.